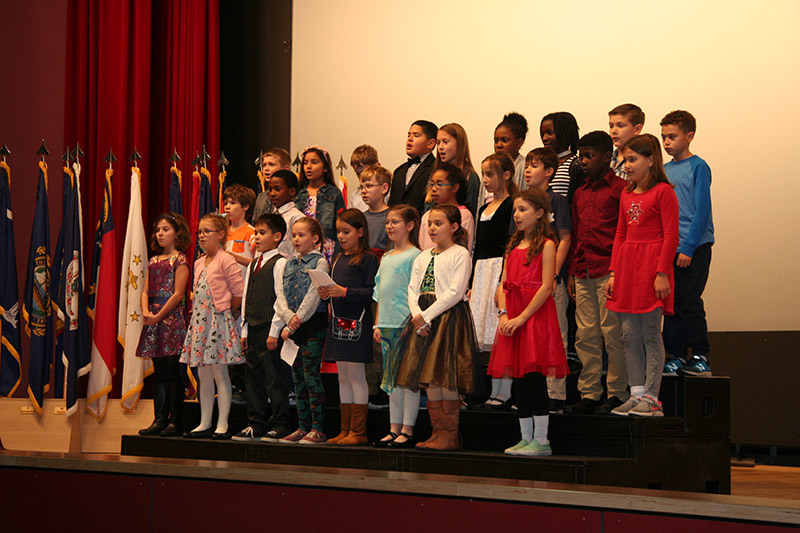 The 4th Grade Choir of Hohenfels Elementary School for their performance at the Veteran’s Day Ceremony.Joint Multinational Readiness Center Hohenfels conducted a ceremony Nov. 8 at the post theater. HOHENFELS, Germany — On Nov. 11, Veterans Day, we celebrate the bravery and sacrifice of all U.S. veterans. But the version of Veterans Day we know now wasn’t always so. It wasn’t always a holiday, it wasn’t always on Nov. 11. In fact, it wasn’t always called Veterans Day. Then, in the aftermath of WWII and the Korean War, Veterans Day was changed June 1, 1954, when President Eisenhower signed a bill changing the name to Veterans Day — a day to honor American veterans of all wars. On that day, let us solemnly remember the sacrifices of all those who fought so valiantly, on the seas, in the air, and on foreign shores, to preserve our heritage of freedom, and let us reconsecrate ourselves to the task of promoting an enduring peace so that their efforts shall not have been in vain. Joint Multinational Readiness Center Hohenfels conducted a ceremony Nov. 8 at the post theater to remember and thank all service members and their families for their sacrifices in the service to our great nation.